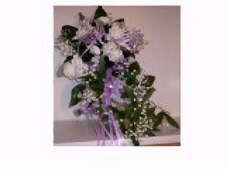 Prices vary with flower choices. Prices will vary with flower choices. A Stunning nosegay of carnations and other flowers. A dainty effect. Multiple flowers make up this pretty cascade. Coordinated with the bridal bouquet begin at $15. Contact us for estimates for your special day.